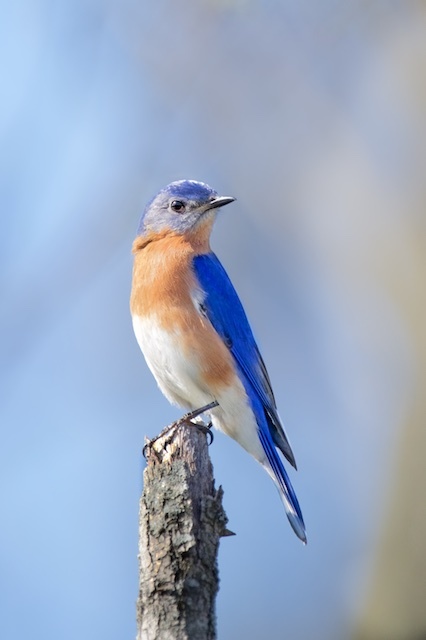 This beautiful bluebird landed right next to me as I was standing in the woods in Valley Forge. At first he didn't know I was there, but then I shifted my feet and pointed my big lens in his direction. He, at first pretended he didn't see me, but then got brave and looked right at me. We stared at each other for a while. I took some photographs and after I while he said he really had to go. I let him go.